Simply Click on the Title to Download. After about 50 years in the faith, I have noticed that many in the Hebrew Roots Awakening are not aware of the foundational teachings of the faith. I have placed the below list together to assist you in getting to learn the basics. Please note that although some material is not from Messianic /Hebrew Roots labeled ministries, per se, they do contain sound Scripturally messages. The below listing is not intended to be a blanket endorsement of any of the ministries listed below. Many appear to look for the perfect ministry. No one--person, minister, ministry, church--is perfect in knowledge or living their lives. Once you, an imperfect person, walk into a fellowship, that fellowship is no longer perfect. One person was "perfect' and they crucified Him. 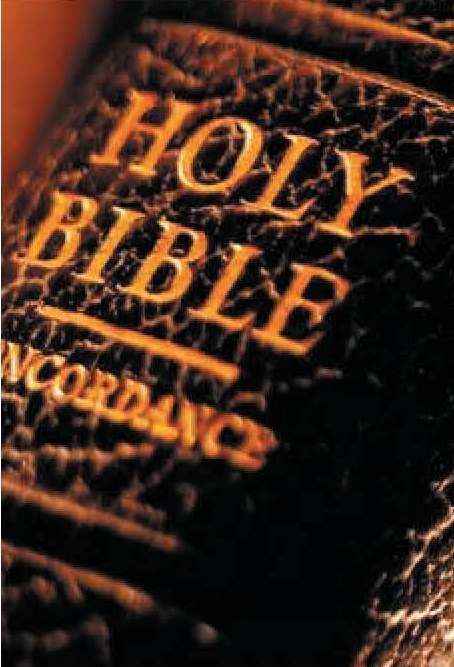 Heaven and Hell: What Does the Bible Really Teach? A booklet by the Sabbath and Feast keeping United Church of God (of which I am not a member). A downloadable booklet in PDF format. Hope Beyond Hell by Gerry Beauchemin. A wonderful in-depth study by Mr. Beauchemin﻿ which gives hope for all! 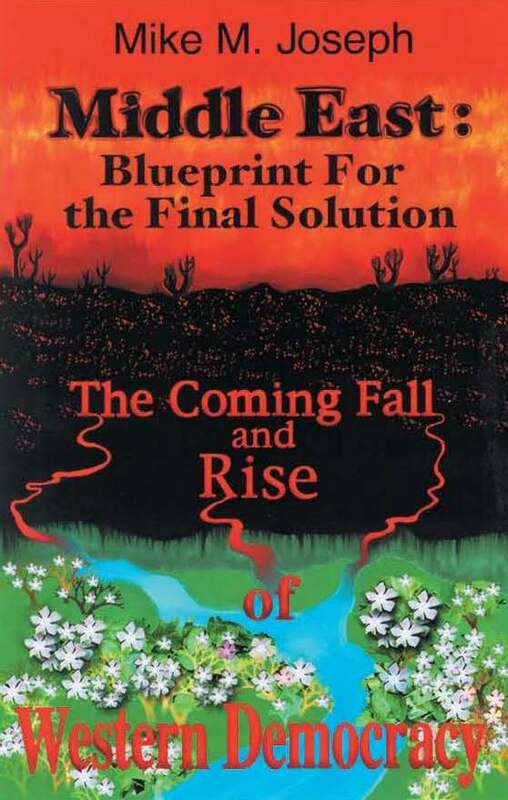 The Future and Hope: Concealed Messages from God's Feasts by Mike Bacon reveals the Hope Beyond Hell in God's plan of salvation revealed in His 7 Annual Appointments. The book is currently being edited. Hebrew Roots Movement: An Awakening! A free e-book book in PDF format by Mike Bacon describing the history, beliefs, apologetics, issues, and criticisms of the the HR Movement/Awakening with links to Hebrew Roots website ministries and free literature. Miracles from Answered Prayers: Finger of God by Tim Kelley﻿, the Season of Our Joy Sukkot Festival Coordinator. Repentance ﻿ What is Real Repentance? This is Lesson 9 of the former free Ambassador College Correspondence Course formerly offered by the now defunct Sabbath and Feast keeping Worldwide Church of God. For new believers in the faith it is important to know the meaning of repentance. The WCG and its subseuent break-off churches cherry-picked which of the "613" Torah instructions they wanted to keep. Nevertheless they offered fine publications, like this one, which effectively taught Scriptural subjects. Were the Ten Commandments in Force Before Moses. By Herbert Armstrong who explains how all 10 commandments are found in the book of Genesis. Women's Roles in the Congregation. 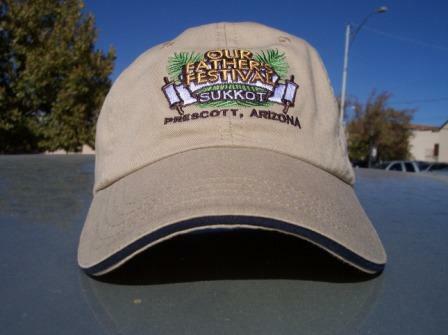 An Advanced Discipleship PowerPoint Presentation on this controversial issue by Mike Bacon given at the Feast of Sukkot. 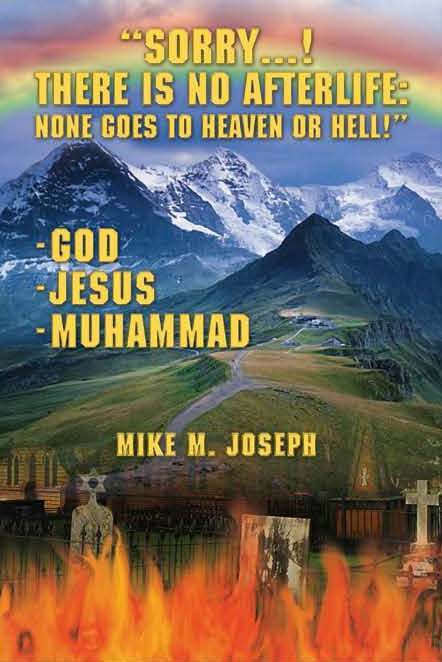 Mike Joseph is a Jewish elder in a Church of God congregation. "Sorry...! There is No Afterlife! According to Irans president, Ahmadinejad, the purpose of the revolution and nuclear Iran is to prepare for the imminent return of the Mahdi, the twelfth Imam. Hence Israel must be destroyed, the West must be subjugated, and the rest of the world must submit to the coming Mahdis Reign of peace on earth. If the belief in an afterlife -- immediately after death -- is true, then both the Bible and the Quran should fully confirm it in plain words. but what if they, instead, contradict it? What if God, Jesus, and Muhammad are not the source of this doctrine? What if the doctrine of an afterlife immediately after death is a hoax? What if man has no immortal soul? In the pages of this book, the unbiased reader will discover the real story about the afterlife, the true destiny of humanity, the true location of the Temple Mount in Jerusalem and its link to the afterlife. NOTE: These items are no longer offered. 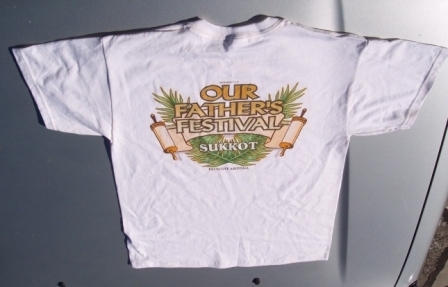 Festival related products and services offered by Our Fathers Festival. 1) If you wish to order a T-Shirt ot Cap,please copy, paste,andcomplete the below ORDER Form in an e-mail toJohnMarsing@gmail.com, (928) 273-0824. 1. 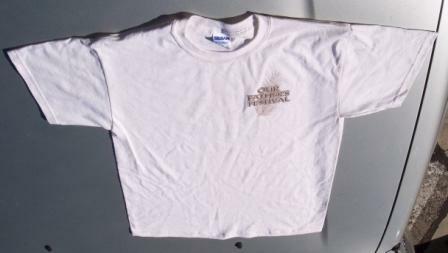 Festival related products and services offered by Our Fathers Festival. 2. 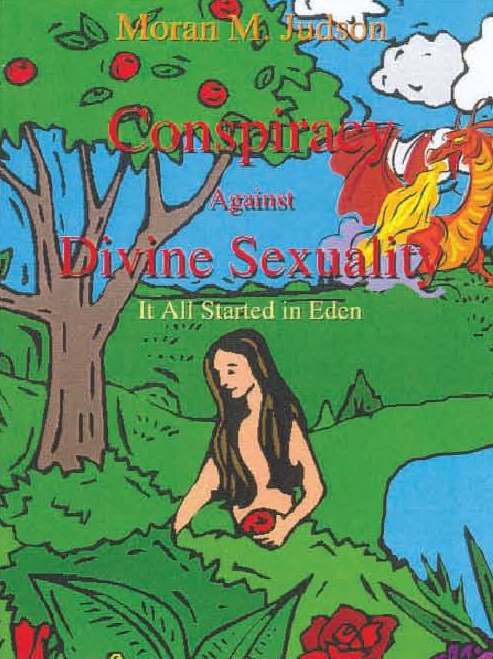 Educational material from the ministry for the spiritual growth of the Body. 3. Festival related products (e.g. clothing, crafts, etc) offered by the brethren. 4. Other products by the brethren to serve brethren (e.g. health). 5. Promoting awareness of your professional services with the intention that brethren should be supportive ofotherbelievers in the household of the faith. The Resource Center will be open for limited hours and days (no Sabbaths) during the Festival. If you would like to showcase your product or service either at the Festival site or on our web site, please e-mail ______.